When you’ve done this, you will get a green notification box to say the email has been sent. 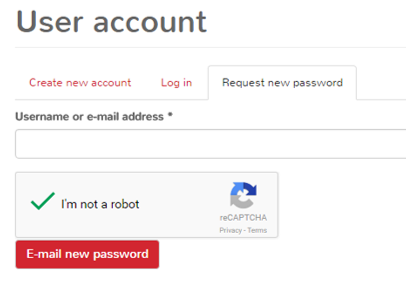 Do not attempt to log in again here. 2. Open the new email you will have received from “web” called “Replacement login information…” in your inbox and click the link within. This will take you back to our website. 4. 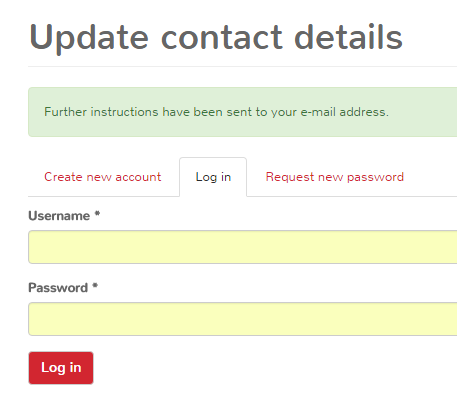 Do not amend your email address and do not click the “Contact details” box. Enter a new (strong!) 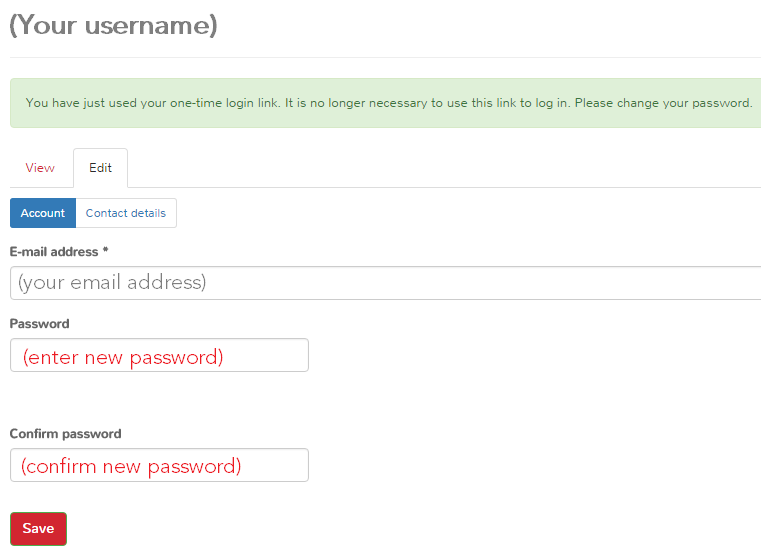 password in the “Password” field, then type it again in the “Confirm password” field. Then click Save. 5. You have now updated your password, and are logged in! Navigate to another area of the site from here now you're logged in. 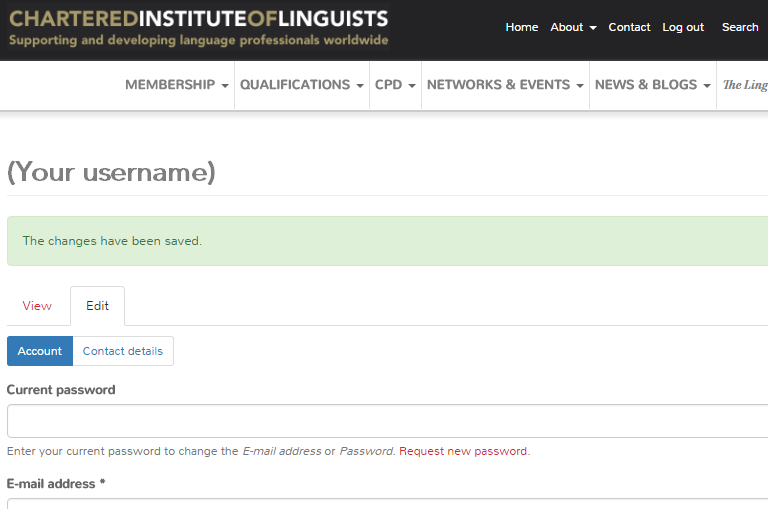 Why not access your membership benefits, update your contact details, or manage your Find-a-Linguist listings?